Grief Hope for Tomorrow bereavement support group, Tuesday, April 16, 6:30 p.m., Community Health Professionals, 230 Westfield Drive, Archbold. Helping Other Parents Experiencing Grief group, Monday, … Sorry! This content is only available to paid subscribers at this time. Please login below, or consider purchasing a subscription today! Lent Five Archbold Evangelical Sunday: Worship with Holy Communion. Nick Hudson and worship team, music, offertory. Message, “Patterns In Genesis-Joseph: Ending,” Genesis 42-50, Jesse Kahler. Central… Sorry! This content is only available to paid subscribers at this time. Please login below, or consider purchasing a subscription today! Fulton Co. Health Center March 30: Amber O’Brien, Napoleon, boy. April 2: Sarah & Eli Rupp, Delta, boy; Pineda & Julio Velazquez, Wauseon, girl; Breeanna Neuenschwander, Delta, boy. … Sorry! This content is only available to paid subscribers at this time. Please login below, or consider purchasing a subscription today! 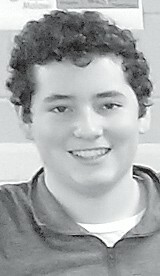 William NofzigerEvery year, area Bible quizzers have the opportunity to take part in one of the biggest tournaments held in the U.S. Starting in 1969 and doubling in size since the 1980s, the tourney … Sorry! This content is only available to paid subscribers at this time. Please login below, or consider purchasing a subscription today! Fulton Co. Health Center March 22: Paula Drake, Delta, girl. March 27: Tyra Bloomer, Wauseon, girl. … Sorry! This content is only available to paid subscribers at this time. Please login below, or consider purchasing a subscription today! Senior Center Fulton County Senior Center, Archbold site, Ruihley Park Scout Cabin, program highlights: April 5, birthday cake; April 9, music by Will Hinton; April 12, wear pastel colors; April 16, b… Sorry! This content is only available to paid subscribers at this time. Please login below, or consider purchasing a subscription today! Lent Four Archbold Evangelical Sunday: Peter Rupp, King’s Cross Church, Defiance, and worship team, music, offertory. Message, “Patterns In Genesis-Joseph: The Path of Glory,” Genesis 38-41, Jesse Kah… Sorry! This content is only available to paid subscribers at this time. Please login below, or consider purchasing a subscription today! 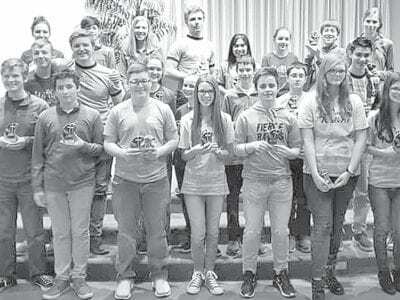 The top 25 Bible quizzers for the 2019 North- west Ohio Bible Quiz season are pictured above. Front row, from left: Kate Nofziger, Levi Baus, William Nofziger and Levi Myers quizzed out in all … Sorry! This content is only available to paid subscribers at this time. Please login below, or consider purchasing a subscription today!